Use the form below to contact accommodation Jasmin directly. 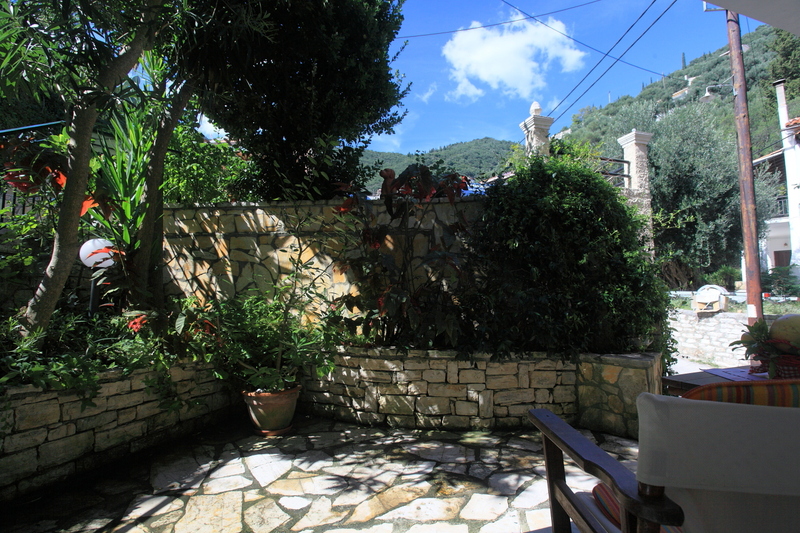 Jasmin is a spacious one bedroom apartment in Kaminaki, close to the village of Nisaki Corfu! It is located just a breath away from the seafront. The entrance to Jasmin is via the terrace, which opens into a kitchen. The kitchen is nicely equipped, enough to prepare any variety of meals. 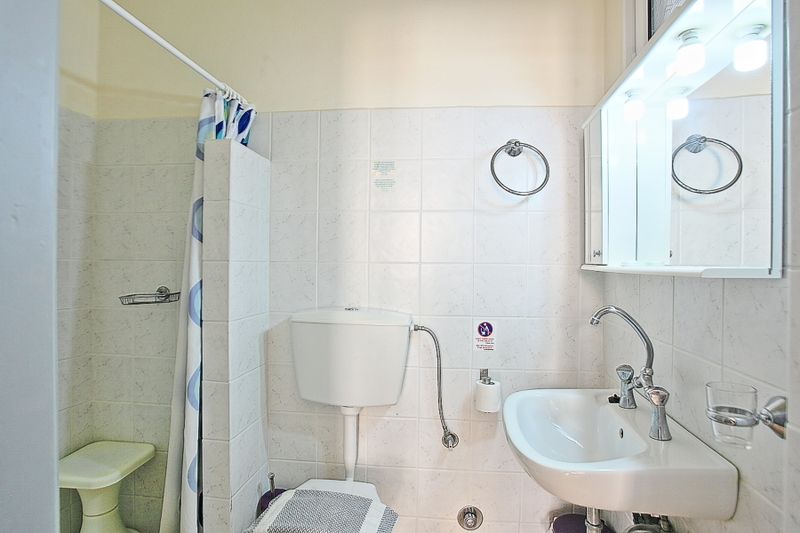 There is a separate bedroom with twin beds, fitted with air-conditioning and a shower room. The lounge opens out into a terrace ideal for a breakfast, before you head down to the beach. 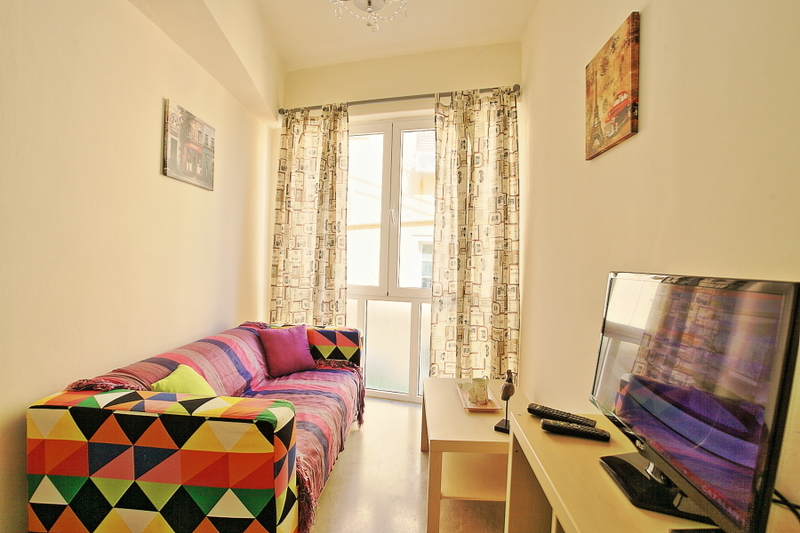 The apartment is fully equipped with all what you would need on a holiday. 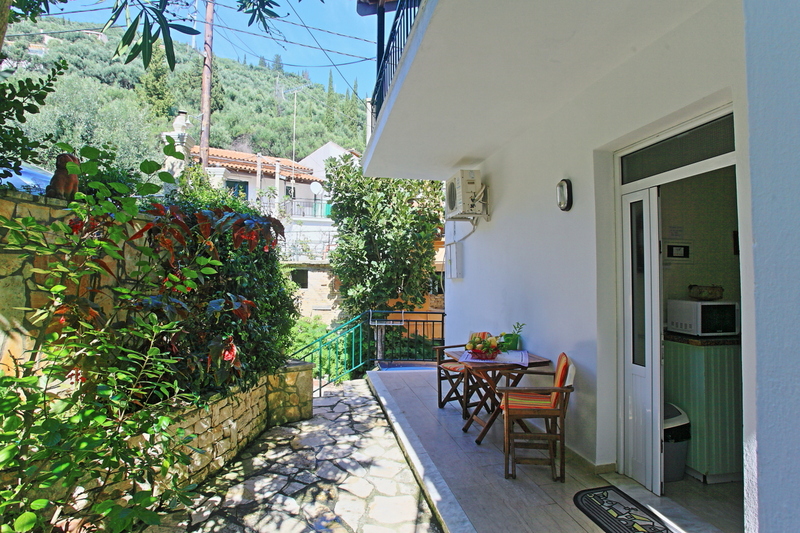 Kaminaki Corfu traditional village has two tavernas and a well kept single beach. You can hire a sun-lounger and spend the day on the beach or a motor boat to go around the numerous bays of the North East of Corfu. A nearby footpath takes you to the beach of Krouzeri, just 300 metres away, with extra restaurants, tavernas and water-sport activities. 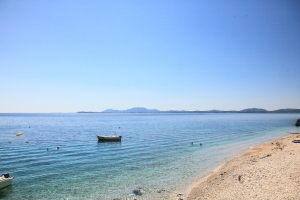 Jasmin is ideal for a relaxing and comfortable family holiday. Should you need extra occupancy, it can easily be combined with its neighbouring property Chrissa to accommodate four extra people with ease. 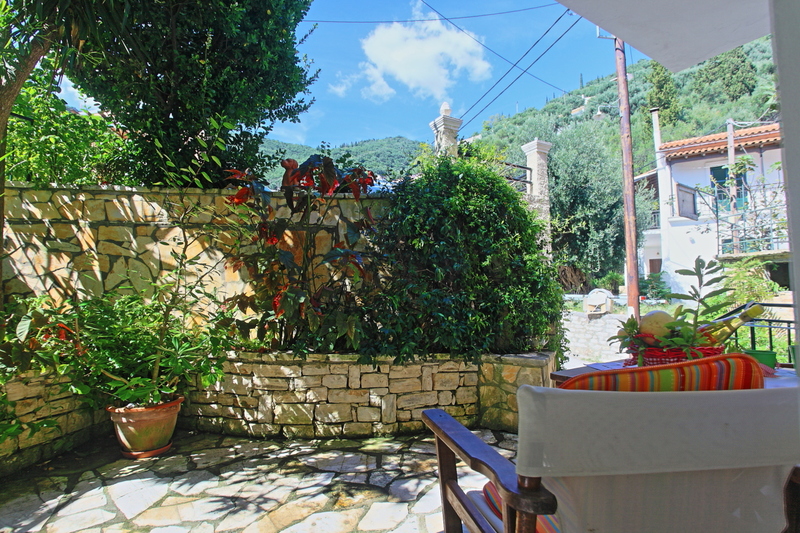 Jasmin is a spacious one bedroom apartment in Kaminaki, close to the village of Nisaki Corfu! It is located just a breath away from the seafront. The entrance to Jasmin is via the terrace, which opens into a kitchen. 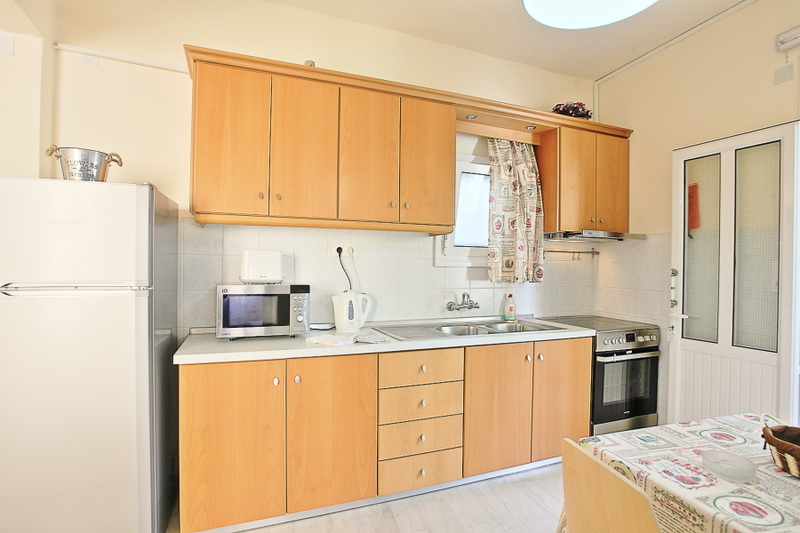 The kitchen is nicely equipped, enough to prepare any variety of meals. There is a separate bedroom with twin beds, fitted with air-conditioning and a shower room. The lounge opens out into a terrace ideal for a breakfast, before you head down to the beach. 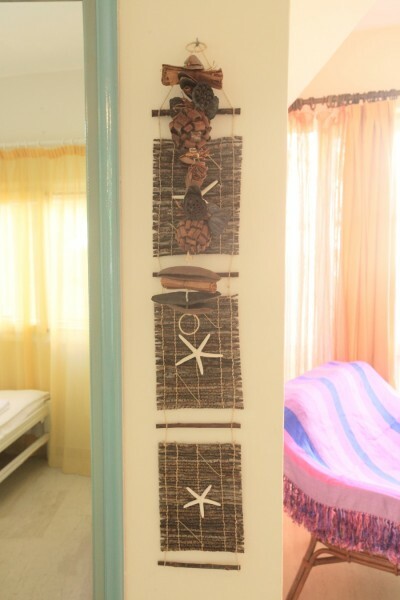 The apartment is fully equipped with all what you would need on a holiday. 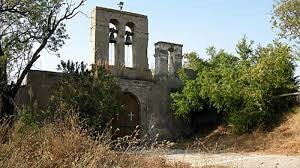 Kaminaki Corfu traditional village has two tavernas and a well kept single beach. You can hire a sun-lounger and spend the day on the beach or a motor boat to go around the numerous bays of the North East of Corfu. A nearby footpath takes you to the beach of Krouzeri, just 300 metres away, with extra restaurants, tavernas and water-sport activities. 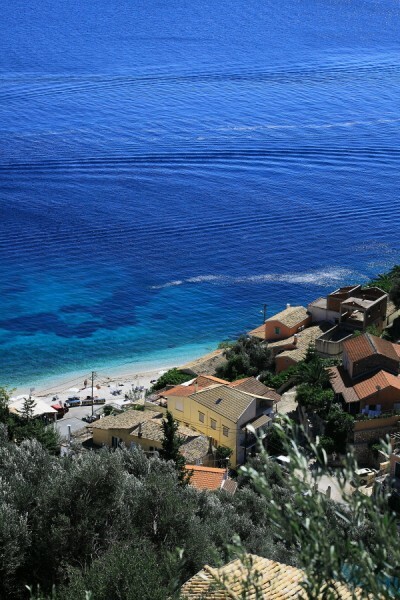 Jasmin is ideal for a relaxing and comfortable family holiday. Should you need extra occupancy, it can easily be combined with its neighbouring property Chrissa to accommodate four extra people with ease. The cute little house was very pleasant. The cute little house was very pleasant.We had no sea view and no sun on our patio but the sea and beautiful beach was just around the corner 1 minute away.We were very surprised that after two days someone came and cleaned the house, beads and gave us clean towels.Two days later again a made up bed and a clean house. Even the Disney wee wished.The wifi was the only thing that was week but we are not so bound to it. We came for the nature and quiet. Vielen Dank f&#252;r die sch&#246;ne Unterkunft. Der Ort war super klein, aber total toll, um zur Ruhe zu kommen. Vielen Dank f&#252;r die sch&#246;ne Unterkunft. Der Ort war super klein, aber total toll, um zur Ruhe zu kommen. Sehr sch&#246;ne Bucht zum Baden, bei 24 Grad Sonne Mitte Oktober wirklich angenehm. Hat &#252;brigens auch alles gut ohne Auto geklappt - die Linie A4 f&#228;hrt vom Flughafen direkt an die Bucht. Bei den milden Temperaturen war der Abstieg zum Apartment bzw. Aufstieg zur Stra&#223;e recht leicht zu bew&#228;ltigen. Mit den g&#252;nstigen, regelm&#228;&#223;igen Bussen waren Ausfl&#252;ge m&#246;glich. Das Apartment war zweckm&#228;&#223;ig, die K&#252;che voll ausgestattet und in der Woche meines Aufenthaltes wurde zweimal geputzt. Das WLAN war nicht gut, war mir im Sinne der Entspannung aber auch recht. Den Ort und die Unterkunft w&#252;rde ich auf jeden Fall weiterempfehlen. We had a great holiday and the accommodation was perfect! What a lovely holiday in Corfu! The villa was small but clean. Just steps away from the pebble beach, you can hear the waves crashing against the shore from the bedroom. The WiFi was spotty and kept going in and out, but the beach was so inviting that we barely spent any time indoors anyway. We ate nearly every meal at Spiro's Taverna - delicious and authentic Greek food and delightful hospitality. 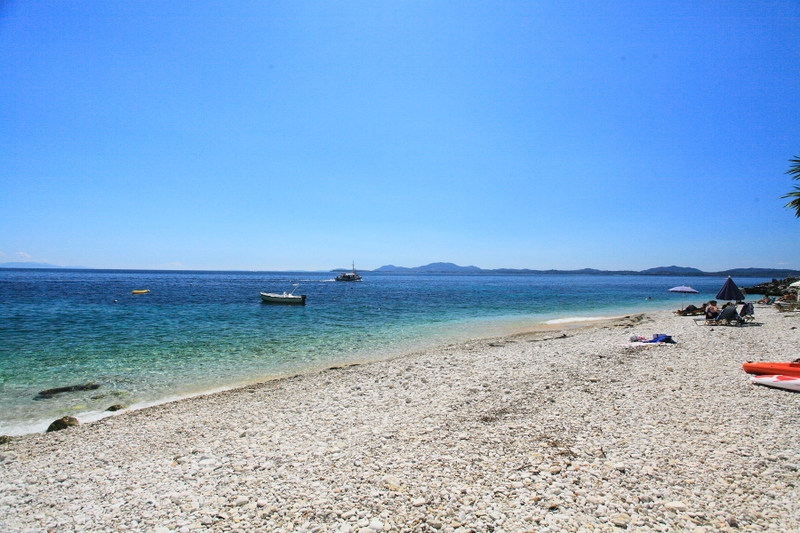 Other than the Taverna, there isn't anything else at the beach (which is how we liked it.) I would recommend renting a car because the area is quite isolated, and it's also at the bottom of a very steep hill that takes about 10 minutes to hike up. 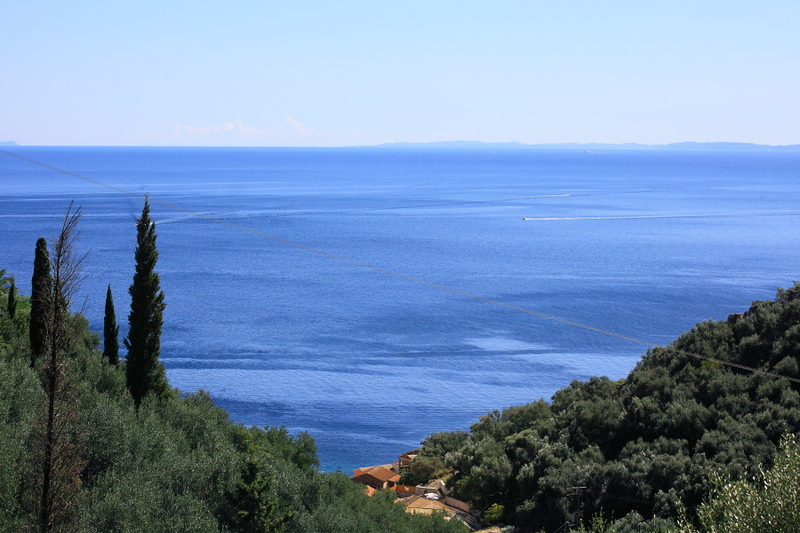 There is a bus stop at the top of the hill - the bus will take you all the way from Corfu to Kassiopi with lots of beaches to stop at along the way. 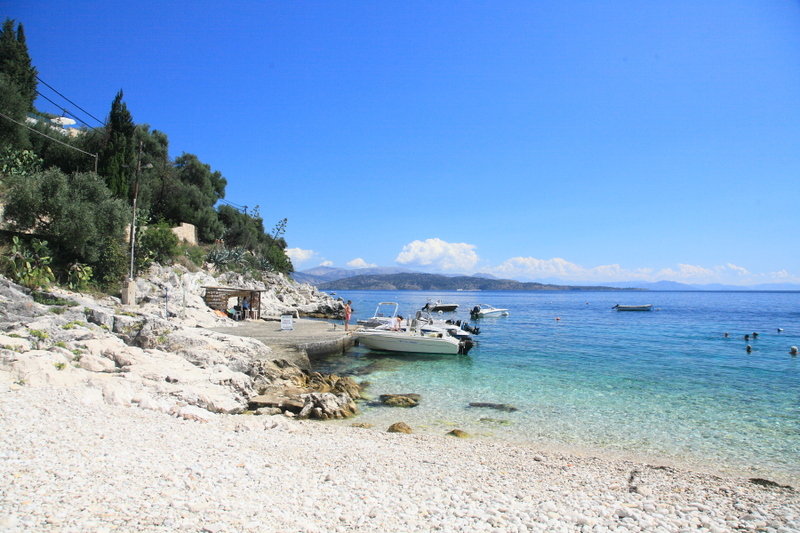 Or you could rent a boat from Dmitiri at Kaminaki and just visit the bays in the area by water. A beautiful location and perfect for my needs as a lone traveller. Jasmine is a sweet little apartment so close to the beach. I swam in the clear still water every day and had a few shore dives with the dive centre on the next beach. The local tavernas offered good food. I purchased my groceries from Aphrodites supermarket who has a delivery service. The weather was good. A fantastic retreat to recharge. Hope to return next year. Extremely close to the sea, you can even hear the waves which was very relaxing. There are 2 beaches nearby with crystal clear water and some nice tavernas. Great amenities! The communication was very quick and in general, both the staff and customer support service were very helpful. The wifi signal was very weak though. Also, I would definitely recommend renting a car as the nearest supermarket is quite far away. Would definitely recommend this place and love to go back again one day! The location could not be more perfect, a lovely little place right next to the beach. It is such a relaxed area and the apartment was perfect for what we needed. 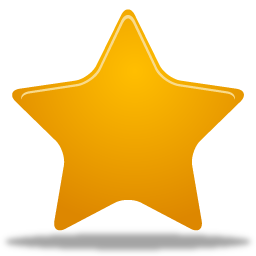 The clear directions were also very helpful and communication always good, even if we never met in person. Just a couple of things that might be useful to know - there aren&#8217;t many places to park and it gets busy during the day as people come to the beach, so be aware if you go for a drive you might not get a spot when you return. The WiFi is also very weak and we didn&#8217;t get signal most of the time, which was fine as we didn&#8217;t need it. Would definitely recommend this place and love to go back again one day! Our week at Jasmin was wonderful - everything and more we had hoped for . Our week at Jasmin was wonderful - everything and more we had hoped for . It suited us being a quieter beach , less touristy and so close to the beach , we could slip down for an early morning and eve swim I. Beautiful tranquil sea . The property is well equipped, clean and comfortable. Fresh fruit and veg come down in a van right outside the villa . We managed without a car well , but some wouldnt . Thank you EOS ! holiday accommodation very nice in a lovely location , for a relaxed break , only downside was there was no internet connection even though its advertised and although we contacted EOS who said they would sort out itr out , it didnt happen . also we tried to contact them about our leaving arrangements and were told 11 am by the maid , but were told at 9.30 am by EOS it was 10am !! as our flight was not until 11pm that evening they was no option to help us even put our suitcases anywhere so we could continue to enjoy our last day which was disappointing as when we have stayed at other villas in Kaminaki they have always offered us somewhere to store our luggage , fortunately the very nice lady at Yannis Bistro on the beach allowed us to put our belongings there which was very much appreciated , its the little considerations that make the difference to ensure a perfect holiday. Deux-pieces simple et fonctionnel 50 mtres de la plage avec une petite cour ombrage agrable. Parking dans la rue parfois difficile, pas de vue sur mer. 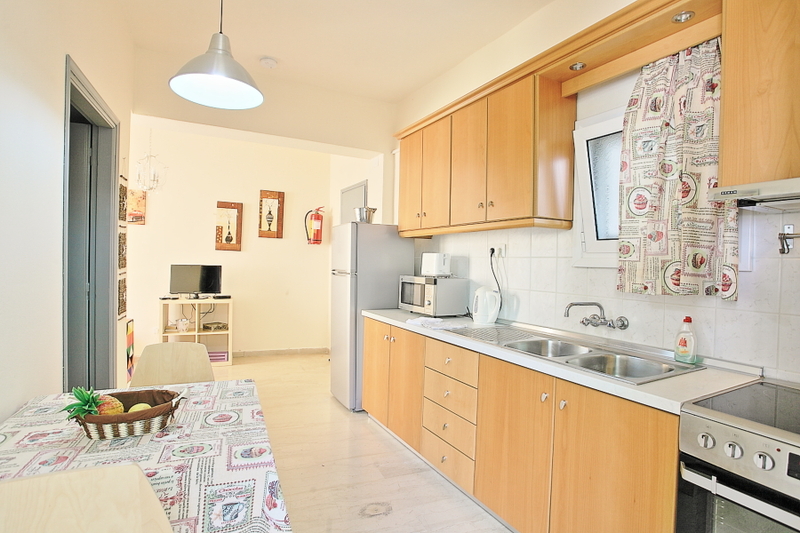 Jasmin is a compact and delightful little apartment in Kaminaki. Very close to the beach and coastal paths and walks in the area. EOS where great organising everything for us and making sure our stay went without a hitch. Highly recommend both to prospective visitors to the area. Our stay at the villa was perfect! Notre s&#233;jour &#224; la villa &#233;tait parfait! L'emplacement est idyllique, authentique et typique juste &#224; c&#244;t&#233; d'une petite plage avec une taverne o&#249; l'on peut se restaurer &#224; base de sp&#233;cialit&#233;s locales! Sofrionos a &#233;t&#233; tr&#232;s arrangeant et &#224; notre &#233;coute tout au long du s&#233;jour. Nous conseillons fortement cette maison pour d&#233;connecter! Merci pour tout! As it is written : feels like your home!!! Best beach in the area! Clean and tidy, comfortable accommodation. As it is written : feels like your home!!! Such a delightful stay in Kaminaki. The apartment is only 30 seconds from the beach. Such a delightful stay in Kaminaki. The apartment is only 30 seconds from the beach. 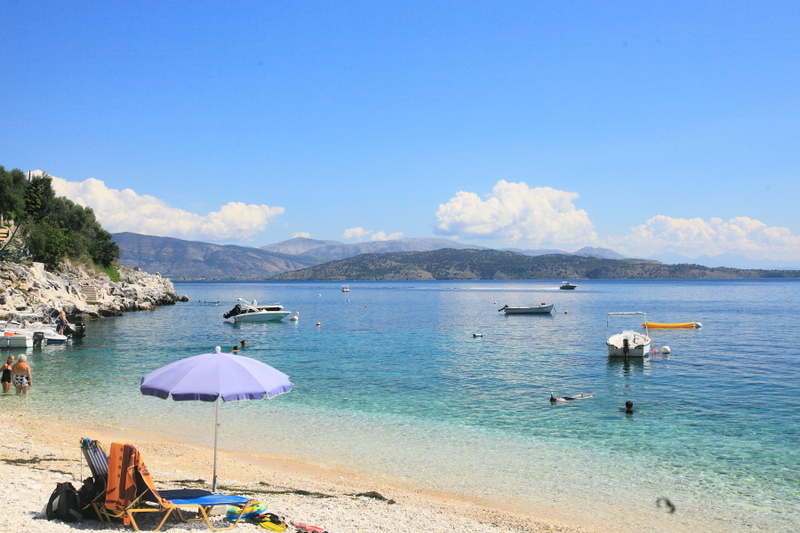 Kaminaki beach was our favourite out of the many we saw in Corfu. Clear water, quiet and super relaxing. Check in and taxi organisation was easy and they also helped us with a scooter hire which I would definitely recommend. The beach is located at the bottom of a steep hill so it helped to have our own transport to be able to go to the supermarket and other restaurants etc. Would definitely recommend this place and would not hesitate to stay here again. Such a dream location! Great place to have relaxing holidays. Great place to have relaxing holidays. The communication with EOS was really easy and they reply quickly. We also rented a car via EOS and it was trivial to reach the house especially because of the directions they sent us before the departure. 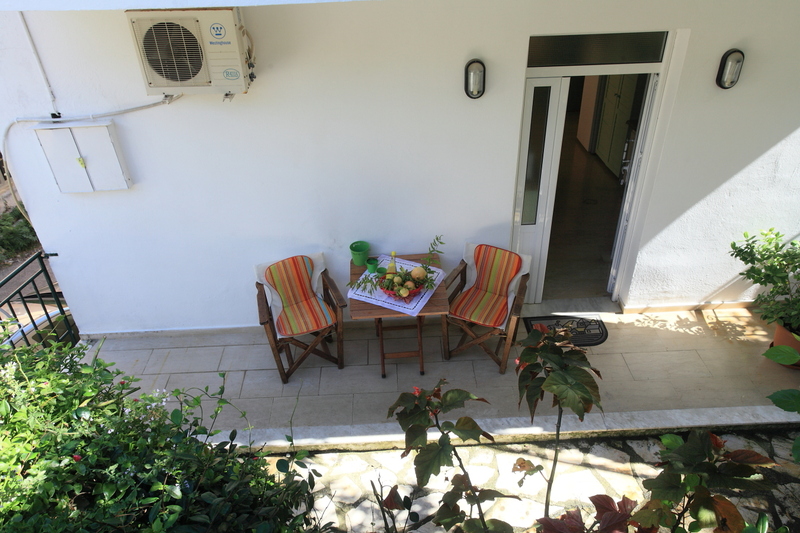 The house is perfect for a couple and 2 mins from Kaminaki's beach. 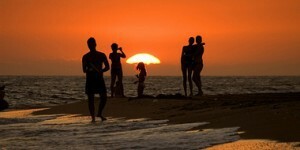 Because it is not a famous beach, it is like to have a private beach! The house is fully equipped, there is the AC in the bedroom, which was very helpful during the warmest nights. The house was cleaned twice during our stay. I strongly recommend this place also because of the strategic position: it is just 40mins away from Palaiokastritsa and Sidari. Housing ideally located (close to a small cove quite quiet). Well equipped. Logement id&#65533;alement situ&#65533; (proche d'une petite crique assez tranquille). Bien &#65533;quip&#65533;. Nous trouvons cependant que le logement pour 3 personnes est un peu petit et que le lit d'appoint est de tr&#65533;s mauvaise qualit&#65533;. H&#65533;te disponible pour r&#65533;pondre &#65533; nos demandes. Merci pour votre disponibilit&#65533; et vos r&#65533;ponses rapides. Mooi gelegen knus appartement vlakbij strand Positief: &#8226; Goede ligging op het eiland. Rustig dorpje maar toch niet te lang rijden naar de belangrijkste hotspots. Het dorpje is goed bereikbaar via een steile weg. Een auto is wel aan te raden, bijvoorbeeld om naar de supermarkt te rijden (Aphrodite is vlakbij) of naar een goede Taverna. &#8226; Vlakbij een mooi (kiezel) strand en fraai strandpad richting het oosten. &#8226; Fijne buitenzitplaats. &#8226; Goed contact met de eigenaar. Verbeterpunten: &#8226; De airconditioning was de eerste dag kapot. Het werd gelukkig adequaat opgelost door een tijdelijke upgrade aan te bieden. &#8226; De bedden waren hard en doorgezakt. &#8226; Er was geen parkeerplaats voor de auto die bij dit appartement. Ideal location for a lazy beach holiday, the patio area is great first thing in the morning for breakfast and only gets the sun later in the day. Everything you need is in the apartment for a relaxed stay. Pack snorkeling gear as there are shoals of fish to view in the bay. You can order supplies from the local supermarkets and they will deliver if you don't fancy going out. I would come back again, in fact I hope to as soon as I can. Le logement bien equip&#233; , propre et fonctionnel , nous a seduit. L'emplacement etait vraiment superbe , &#224; proximit&#233; d'une petite plage magnifique. L'equipe Eos Travel a repondu &#224; toutes nos attentes et toujours avec beaucoup de rapidit&#233;. Thanks to travel agency Eos for good appartment close to the stone, small beach and good tavernas. Very nice place for quiet rest. What a great trip! The flat was in a really great location to just pop over to the beach or walk over to the rocky area. The EOS team were really helpful and easy to get in touch with. Just a fab little place in a lovely spot. Just a great little place, perfect for a couple or just 1!! My son stayed there as we were in another villa up the hill but had no room left. 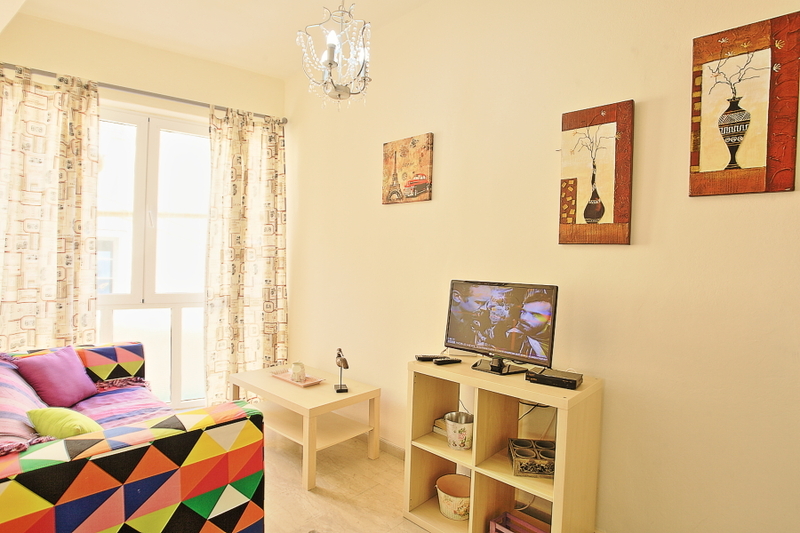 Ideally situated very close to the beach and all you need in the apartment. Just a fab little place in a lovely spot. Preis / Leistung sowie die Nähe zum Strand waren TOP!! Wir haben die Tage in der kleinen Ferienwohnung direkt am Strand sehr genossen. Die Lage ist traumhaft! Der Strand ist keine 100m entfernt und selbst wenn man mal was vergisst, ist das gar kein Problem. Wir wurden nett mit frischen Blumen empfangen und auch die Einheimischen der Häuseransammlung waren alle sehr freundlich und offen. Ein Auto ist von großem Vorteil, wenn nicht sogar unerlässlich. Die Wohnung war sauber und es war alles da, was wir brauchten. Einzig der leicht muffige Geruch aus den Schränken und Schubladen ist uns negativ aufgefallen. Alles in allem waren wir mit dem Preis / Leistungsverhältnis sehr zufrieden. Jederzeit wieder! My girlfriend and I stayed here for 10 days during June/July, we couldn't have picked a better place to stay. 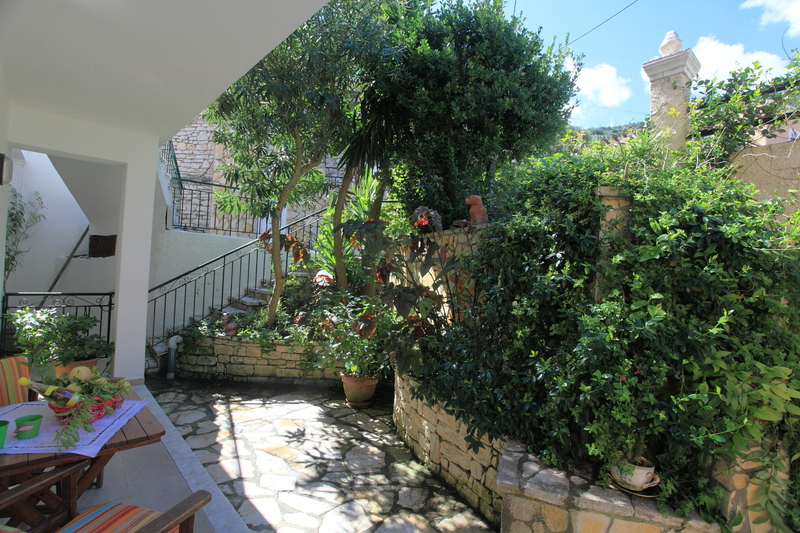 Not only does the apartment have everything you need, the owners were very attentive and the location is just idyllic. With the beach less than a 20 second walk away, we had such a relaxing stay here. The nearby Spiros Taverna quickly became a favourite of ours also, we ate here most nights and everyone was very friendly and accommodating. Couldn't recommend more! “The location and simplicity of the village. Everyone very friendly”Unfortunately the day we arrived there was no hot water for a shower. It was fixed within 2 or 3 hours but shortly after it was fixed, there was no water pressure - no pressure no water!! Finally fixed within a couple of days. Also had ANTS in the kitchen. Informed owner who swiftly dealt with the problem. Unfortunately these returned!